Fires during the holidays are dangerously common. But what are the causes of these fires? Many holiday activities and decorations can increase your risk of a house fire. Read on to learn some fire safety tips for the holidays. According to the USFA, cooking is one of the top causes of holiday fires. With so much going on, it’s easy to become distracted and neglect what you are cooking. Without a watchful eye, a grease fire could start. If a fire does break out, make sure that you have a fire extinguisher that can be used for all types of fires. Also, check and make sure that your smoke alarms are functional. Fire safety during the holidays should always be on your mind. Always make sure to water your tree. It’s been proven by the NIST (National Institute for Standards and Technology) that it takes less than 30 seconds for a dried out tree to ignite and set a room ablaze. In order to reduce the risk, purchase a fresh tree with needles that stay attached when shaken, and water it every day. It’s less likely that a well-hydrated tree will catch on fire as long as you keep it away from heat sources. 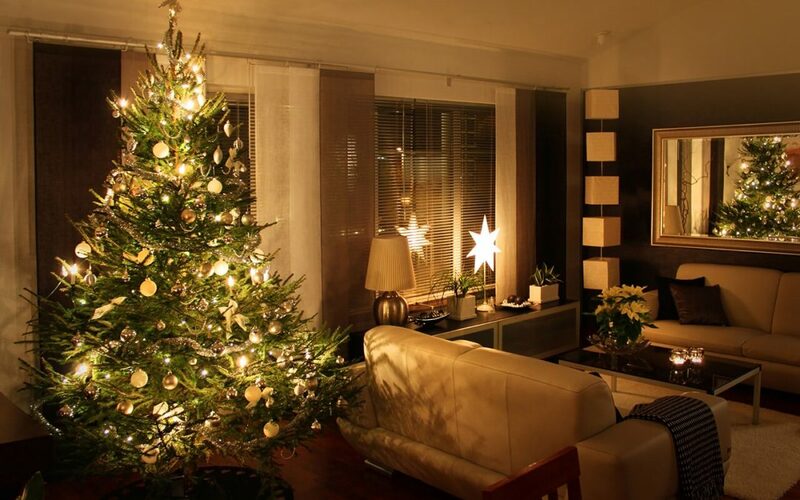 You can also choose instead to get an artificial tree that’s flame-resistant. Before putting up your clear or multicolored string lights, always check them to make sure there are no exposed wires or broken sockets. Do not use staples or nails to pin the lights to a surface. It will not only damage the wires, but it will also increase the risk of a fire. Refrain from using more than three strips of lights connected end to end. Fire safety during the holidays doesn’t need to be difficult. With these fire safety tips in mind, you can have an accident-free holiday season. HomeAdvocate Property Inspections wishes you a safe holiday season!